Using premium materials and filters these cold air intake kit’s offer an optimum upgrade from the restrictive O.E induction system. The benefits of cold air into your motor include more power and economy as the factory systems are very restrictive and do not cool the inlet air temperature efficiently. 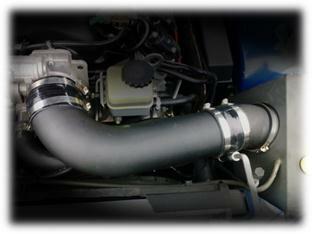 By increasing cold, dense air into your motor, your engine will produce more effective performance and better economy. On road power gains consist of around 5rwkw depending on modification.